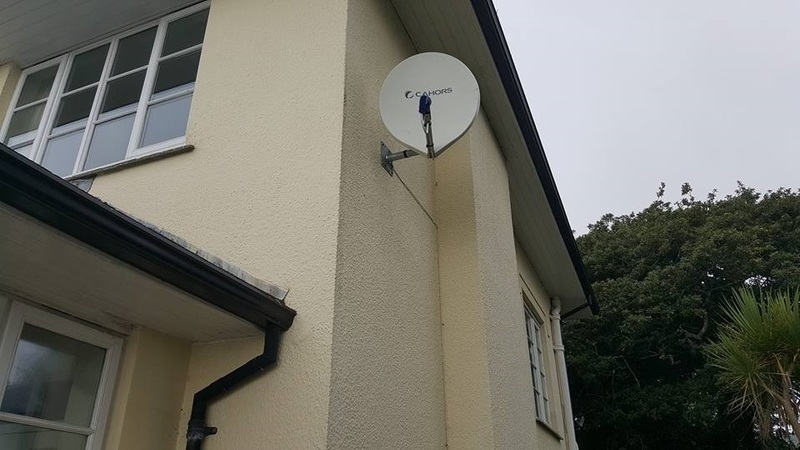 Here our client in Falmouth at Penwerriss terrace, TR112PA, Falmouth, had an old rusty sky dish which kept giving the client a no signal problem, we replaced the old freesat dish with a premium fibreglass dish with a galvanised 2 inch mount, after the dish was installed and we measured the signal at the tv it was clear that one of the cables also had a fault so this was also replaced. 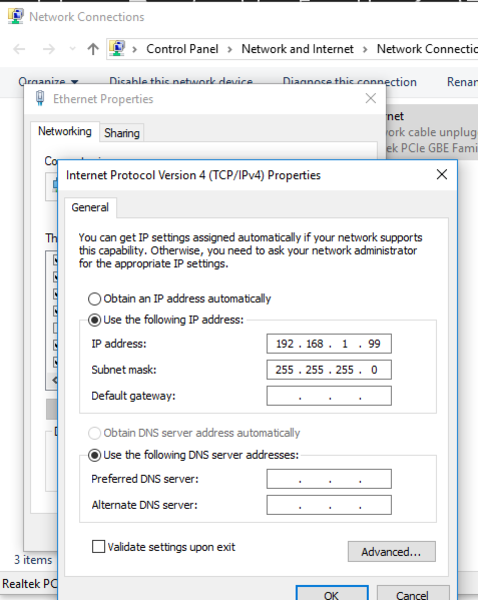 This guide shows you how to set a static IP address on your PC. 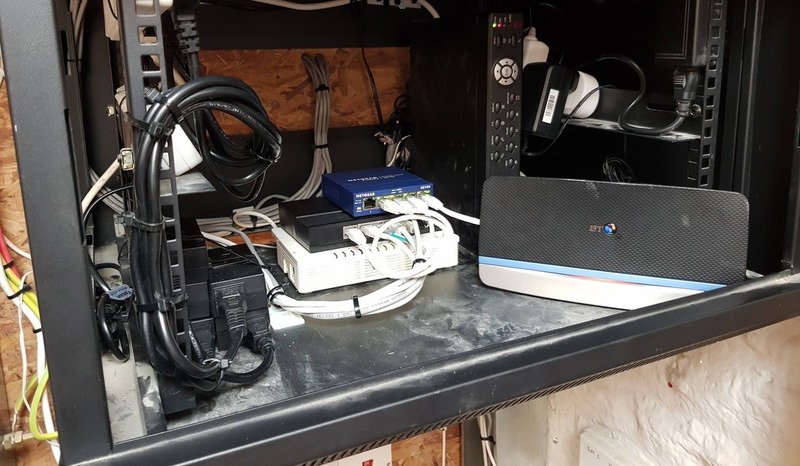 This enables you to directly connect to IP cameras or Wifi access points etc without the need for a router. 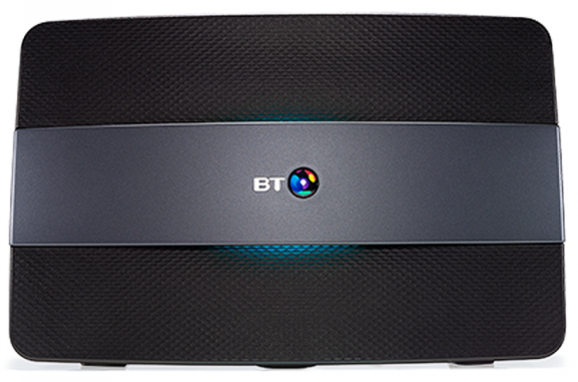 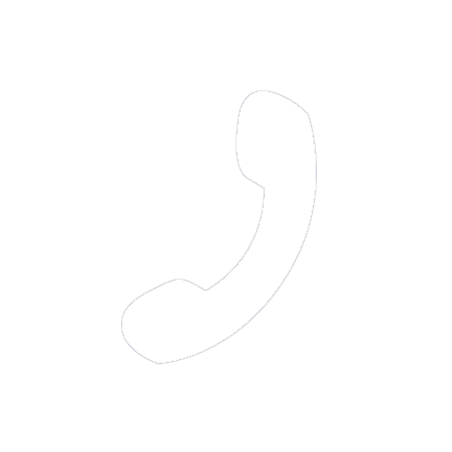 Are you experiencing problems with your broadband, read our free guide to gain some tips. 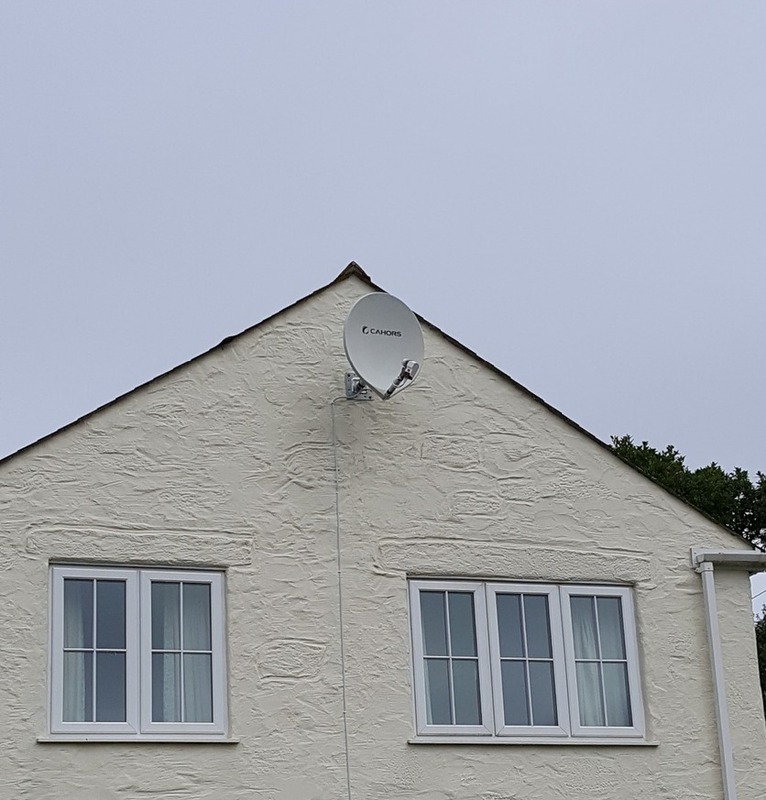 This premium fibreglass dish was installed in De Pass road, Falmouth, TR114BJ, we recommend the client had a fibreglass dish installed due to the property being very exposed to the sea, Freeview signal here is weak in most parts, so this was a welcome upgrade. 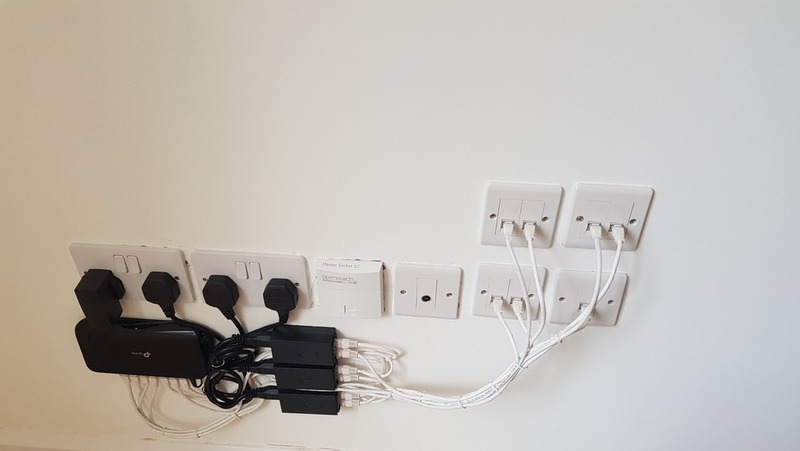 This server cabinet was a total mess reams of cable with multiple joins, DIY cat5 cable ends and a mix access points and brands, TP link, Netgear ect and multiple wifi networks with confilcting channels all leading to an unstable WiFi network. 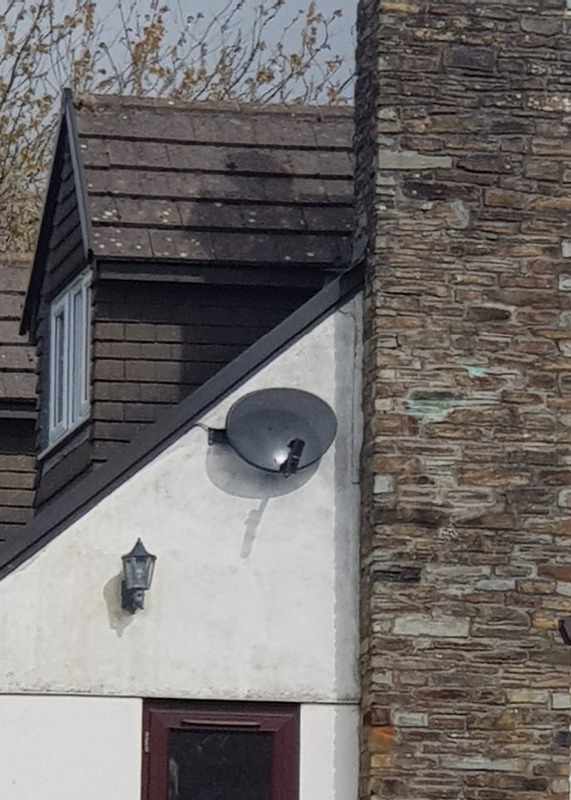 The accomadation now benifits from Ubiquiti access points throughout the premises ensuring great coverage and speed, the customer has chosen to use the BT router for now which is just being used as a router not an access point (wirless disabled). 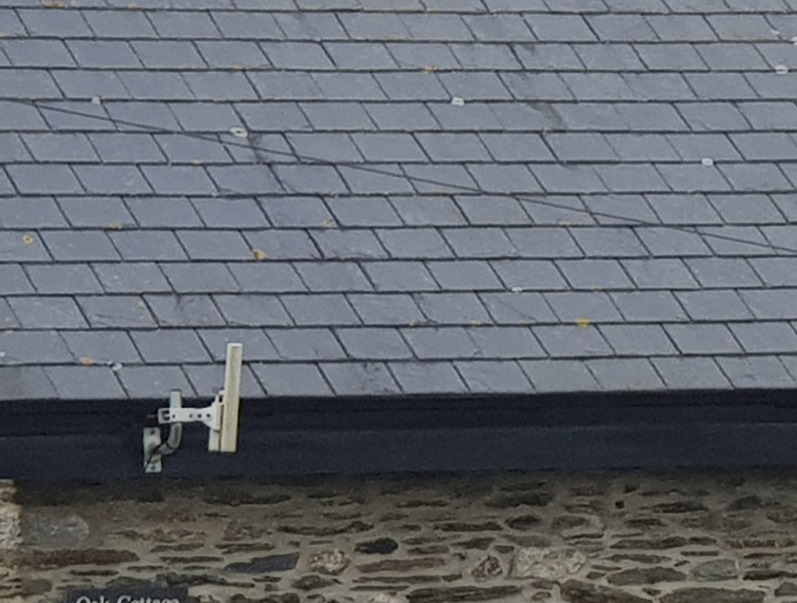 The site benifits from a 300Mbps FTTP line to ensure the media students can upload large files. 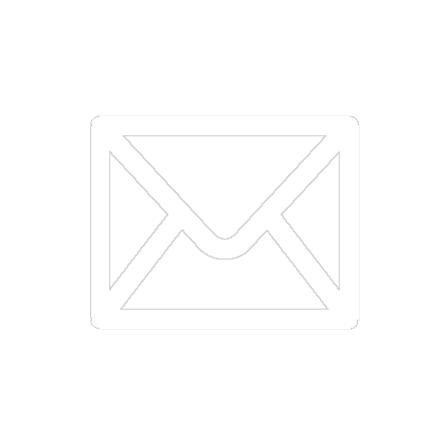 Confused as to which system is best for you? 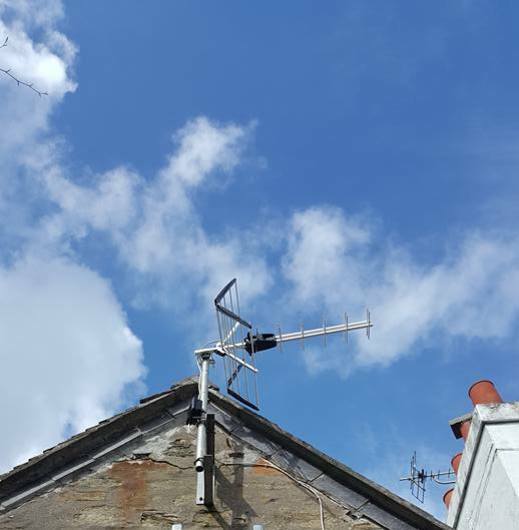 If you live in Truro, Cornwall, this blog is a helpful guide as to which services are available in your area, contact us today regarding you aerial, wifi or Satellite installation in the Truro area. 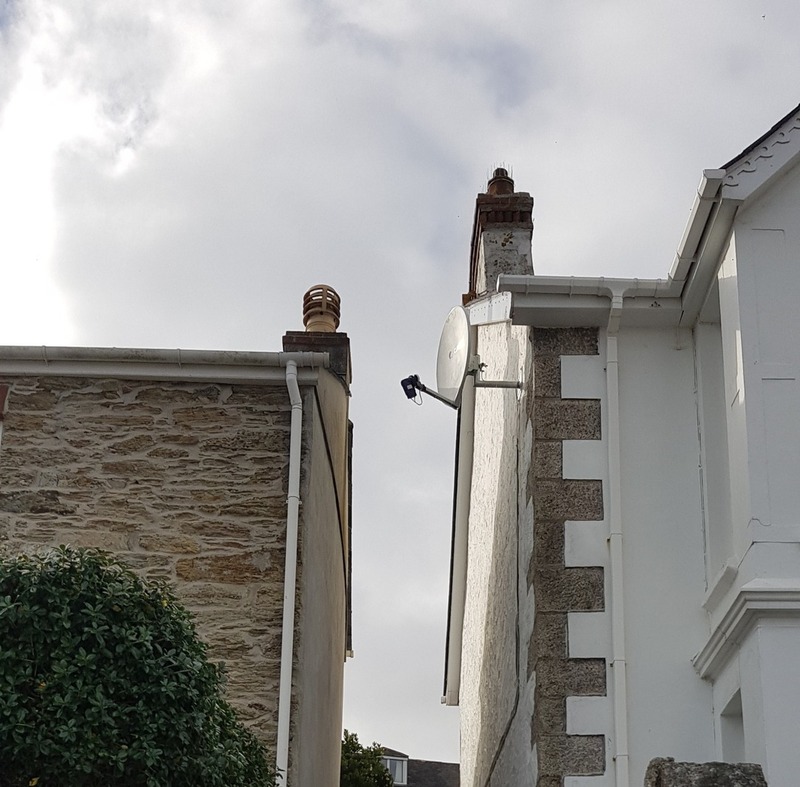 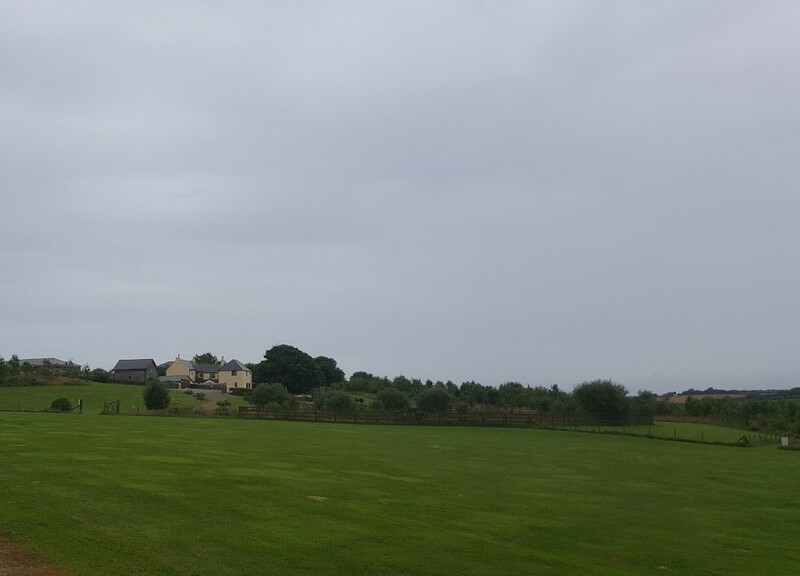 This property is located in Tregony, Truro, TR25RY, the site had an existing system that needed totally reconfiguring as the main line was moved to another building, the new owner didnt realise that the system was fed from one of the holiday buildings and not the main house, so we recongigured the system to all be fed from the main house where it is easy to service and reboot if a problem did occur. 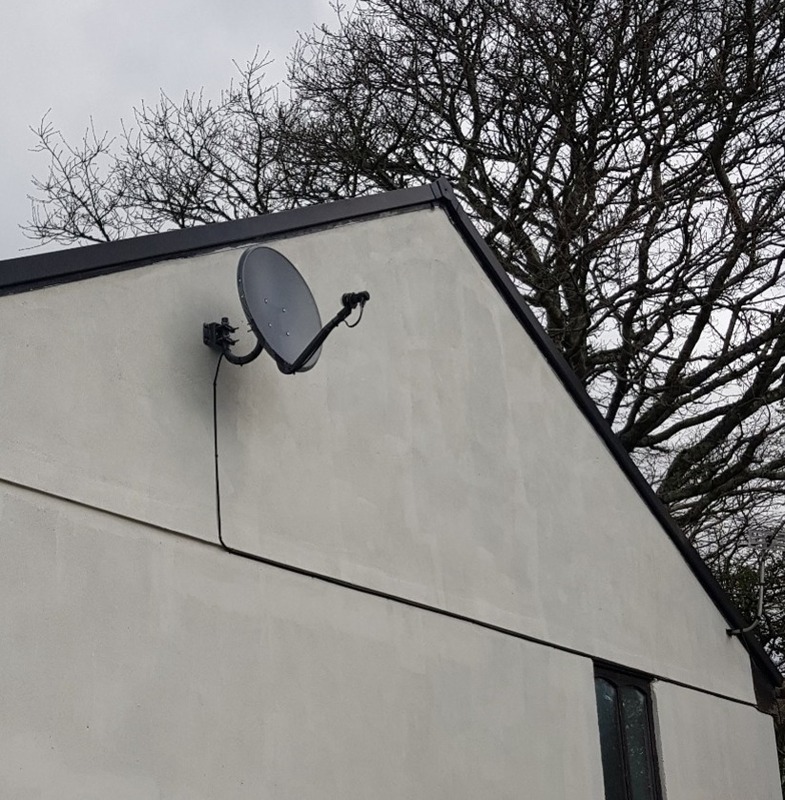 Two Freesat satellite dishes installed in Truro, Cornwall, these dishes where provided by the customer and installed on two buildings. 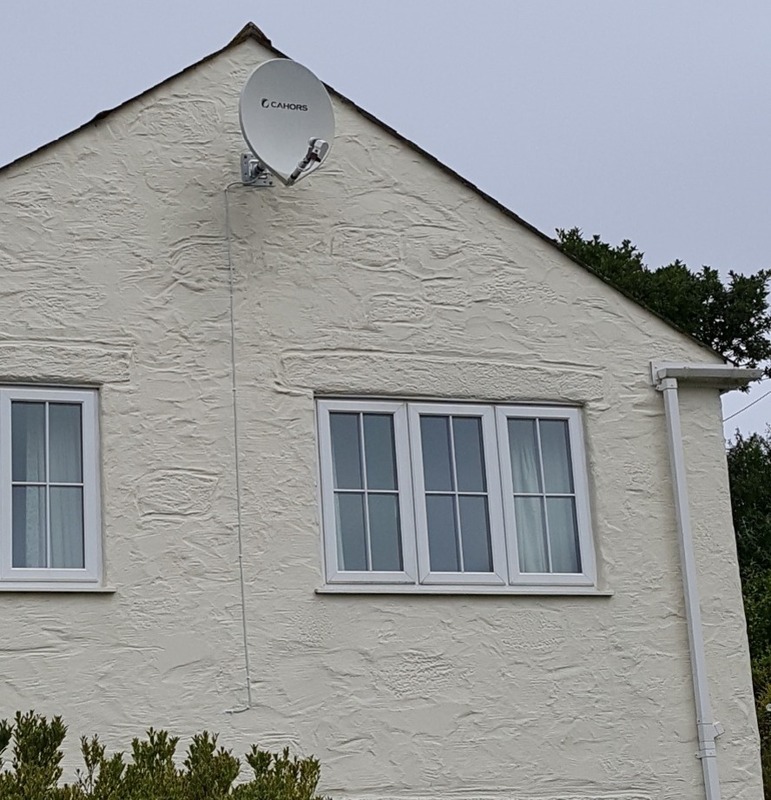 Fibreglass freeview installation in Gypsy lane, Helston, TR130FD, Cornwall, 2 inch glavanised mount and premium Lnb, this freesat rig will last the test of time.